Sev-Rend packaging in Illinois is now offering two tone colored netting to their clients looking to spruce up their packaging solutions. While colored packaging itself is not new, the concept of customizing the colors used in various packaging materials expands on the idea of displaying fresh produce in a recognizable way. Called 'Colortone', the product is available as part of Sev-Rend's Sof-Net category and features customizable colors depending on the grower's brand and produce colorization. "We are excited to be offering our customers the two tone color netting," said Jeff Watkin, of Sev-Rend. "The product was launched at the PMA Fresh Summit and was the culmination of several months of development that stemmed from queries from several of our clients." "The product features a customizable dual tone netting that is designed to emulate different materials and textures of the produce," he continued. "It can be based on the equipment in use by the client and is compatible with all industry netted bagging machinery." 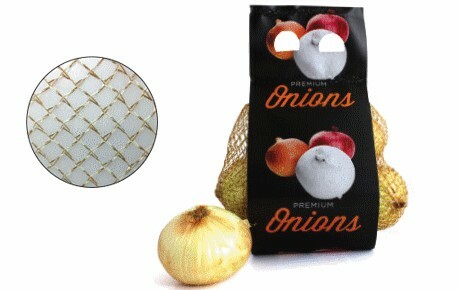 Among the first clients were citrus, onion and avocado growers, many of which use netting for their packaging. However, in an increasingly visual market, these companies decided that the 'Colortone' netting will give them an edge. The various sizes and options available give additional scope for customization. "Initially, we're getting a lot of enquiries from mainly citrus, onion and avocado grower packers," Watkin said. "They're easy to handle and there is not really any limits to the size they can be made to. The design is for a two tone color scheme." Another category that Watkin said is in high demand are produce pouches. Colors again are a factor of consideration for growers and they are also available in different shapes and sizes. One of the main draws for the pouches is the opportunity to extend the shelf life of the product with light blocking barriers. "The pouches we design include the Clear-view, which allows customers to see the product through a transparent package," Watkin added. "The package offers product protecting barriers that will give the product a longer shelf life by blocking out harmful light. They're also available in different shapes, and with the eye catching colors and graphics available, are a growing market. Sev-Rend have been making these type of pouches for several years now."